The Nature Adventure Camp in Kanakapura is an ideal location for all the adventure freaks. The camp is set in the Banantimari State Forest area and is surrounded all around by greenery. This picture perfect location is bordered by a lake and a mountain. Trekking on the Banantimari hill range is a great experience. Overview of the Destination : The camp is located at a distance of 50 km from Bangalore and is home to the beautiful Lake of Hosadoddi. Apart from it being a camping destination it is a great site for historical exploration and experiences the prolific excitement of wildlife. The gorgeous mountains make the entire experience of trekking even more special. Camping at Kanakpura is a perfect combination of holiday and adventure. All you need to do is pack your bags, gather a group of friends and go for camping. Activities to Indulge in : The camp is ideal for organizing the corporate training, college fun, family outings and team visits. The gorgeous mountains which are surrounded by the pristine lakes will make trekking in the Bananthimari hills even more enjoyable. Most of the people who visit the hills indulge in kayaking. The best way to experience the nature in its best form is to recruit a paddle rat or a canoe. Along with these, ice walk, acid walk, tent pitching, zip lining, bonfire and coracle riding are few of the other interesting things which you can think of doing here. Ideal Time to Visit : Even though the camp is open round the year, the best time to enjoy the true beauty of the area is during the post-monsoon months. However, depending on your schedule you can plan your trip. The picturesque views and the awesome weather will force you to visit the place again. The Bottom Line : The camp is a perfect combination of relaxation and adventure where the participants are given an opportunity to try the activities keeping in mind their safety. Visiting the camp will be an experience that an individual is going to cherish for the rest of his life. you breathe loudly through your face mask...your heart is beating so fast, you hear it...your target blends into the surroudings b'coz....he's wearing camouflaged clothing...You take a deep breath, bring him into sight...Aim and Bang !! • Corporate team building activities - we have more than 100 kinds of activities exclusively for Corporates and colleges. 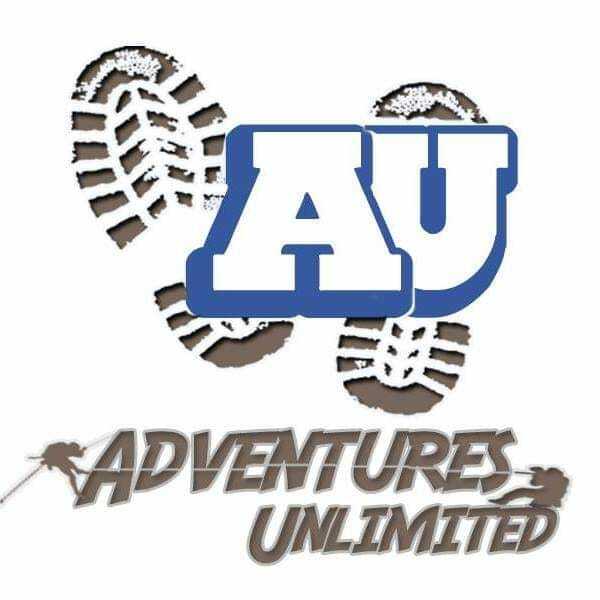 Adventure Unlimited develops programs that cater specifically to our client's needs. Our programs range from the fun and easy activities to the more advanced and physically challenging activities by using an experiential training and development methodology. "Experience the Difference Team Building with us !! The nature adventure camp in Kanakpura is open all year round, which means that people can plan a trip to the destination as and when they find the time. However, the best time to enjoy the true beauty of the surroundings, especially the mesmerizing sight of the Banantimari State Forest, planning a trip in the post-monsoon months is a good idea. During this time, the entire landscape of the region is in full bloom an presents a really amazing view. In order to make sure that they enjoy their outing to the Kanakpura nature adventure camp, participants should carry the following important items with them. 9:00 AM - Arrive at camp, welcomed with welcome drink. - Options will be given to each members whether they want to go for Water Activities or Rope/climbing Activities and will be done vice versa for post lunch. - Even we can organise competition in water activities, a team of 5 members each, one member has to do zipline and once he/she reach the point, the other 4 members has to take the coracle and bring him back,least timed team will be the winner. 5:00 PM - 6:00 PM - Relax with Hi Tea & end of the program. 5:30 AM - 6:00 AM - Freshen Up and have tea. 9:00 AM - 12:00 PM - Descend and reach camp, relax for 15 mins then have breakfast & Windup. Even we can customise the itinerary as per your timing, for overnight stay checkin and checkout timming will be calculated on 24 hrs basis. Amby theatre with gallery kind of steps for seating. 2 Rooms with all amenities. Weather conditions, Wildlife movements, permission are not in our hand; many times we are forced to change the itinerary. We expect every Adventurer to be humble towards Nature, localities and tribal. In case of damage or lose of any of the property or equipment, responsible member has to bare the cost. All our events are built on Teamwork methodology. Our instructor/Guide/coordinators presence in the event is to lead the event, make sure that things are going as per plan, schedule, and safety. Alcohol is strictly prohibited on Trek/Activities. Follow "Leave No Trace" policy, never throw or leave anything en-route or at camp area. Bring whatever you wish to considering you love and respect the Nature very much - Even pets are allowed.